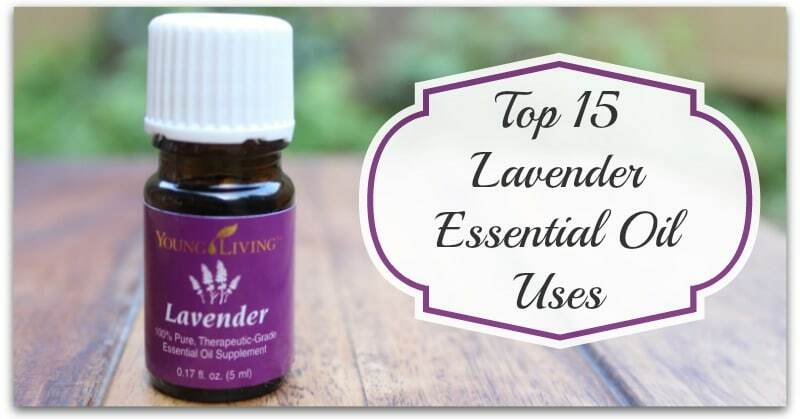 Home » Essential Oils » Top 15 Lavender Essential Oil Uses! Today’s post will be on lavender oil uses, but will also be part of a series of posts on essential oils. I’ve recently gotten into essential oils to support my mood and health, but in the process have discovered about a million other amazing uses for them! 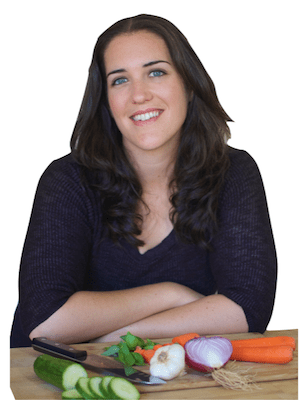 As I learn more and more about essential oils, I want to share my journey with you. Essential oils have replaced many everyday products that I used to spend a fortune on. I now clean my home with oil-infused natural cleaners rather than toxic chemicals from the supermarket, for example. I cleanse my face with oil-infused natural products too. I have replaced almost all my own bath and beauty products with my own natural homemade products with essential oils. I use essential oils every day to support a health immune system, endocrine system, respiratory system and my overall wellness. And everyone in the family benefits from using calming essential oils in the diffuser before bedtime! Yes, you can buy essential oils anywhere, but they are not always going to be pure and 100% therapeutic grade! I’ve done a lot of research into this and found that many of the essentials oils found in health food stores, specialty stores, boutiques and even online stores are NOT 100% essential oils. The plants used to make them may be exposed to pesticides and other toxins, even if they’re organic they may be processed with chemical solvents or even combined with synthetic fragrances thereby degrading their therapeutic quality. You never really know what you’re going to get. Store-bought essential oils are not required to include the ingredients on their labels and the term “natural” or “pure” is not regulated by any governing body. So store-bought oils may say “pure” and “natural” but they may still have synthetic additives. Almost all store-bought essential oils contain a warning “do not ingest”…this is usually an indication that they are not pure. Young Living essential oils are one of the only Essential Oils that are cleared as dietary supplements…this also means that they are regulated and required to disclose all ingredients on the label, which is always unadulterated oils. They grow their own organic plants that they use for the oils, so you know there is no pesticide or chemical fertilizer residue in your oils. You can even visit their farms all over the world! They are very transparent about their farming practices—something that is virtually unheard of with any other essential oil company. They also make sure the oils are pure by distilling the oils at low temperature and pressure in stainless steel chambers to maintain the delicate therapeutic compounds in the oils. Young living also goes to great lengths to guarantee and test oil purity and strength. Their oils are of the best quality and are safe and effective. As a Young Living customer, you automatically become a member of a big oily family that will give you all the support and advice you need! It’s a wonderful feeling to know you have the help and reassurance of a generous and caring community of moms, experts, and lifelong users. I’ve been using my oils for a long time, but I still reach out to the our close-knit community for their advice and expertise! If you’re interested in getting into the many amazing uses of essential oils, I highly recommend the Young Living premium starter kit. It is an amazing value and contains all of the oils mentioned above, plus a home oil diffuser. When you sign up with me, I also send you FREE sign up gifts worth over $40! Click here to see the full list of products in the premium starter kit and this months sign-up gift. Get essential oils at wholesale prices (24% OFF) click here to learn more. Put 6-10 drops in a bath with epsom salts or diffuse 5-8 drops before bedtime. Apply Young Living lavender topically on the wrists or behind the ears. Make a linen spray. In a 2oz spray bottle combine 10 drops lavender and fill the rest with water. Shake before using and spray on your linens. Combine a couple drops with coconut oil, almond oil or jojoba oil and rub on your skin. 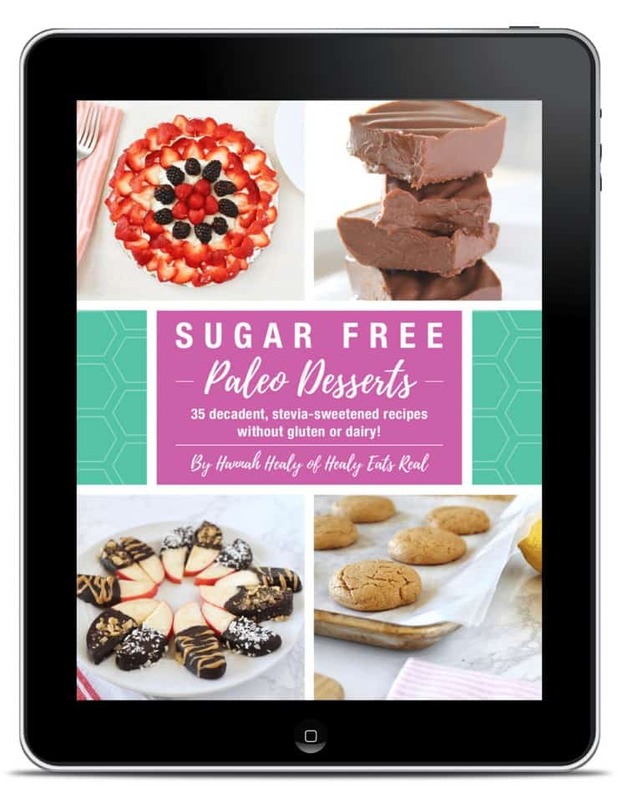 Try this recipe for a simple non-toxic exfoliating sugar scrub. Mix lavender along with other favorite essential oils for your own DIY perfume recipe! Add lavender to your homemade non-toxic deodorant for a fresh smell! Make your own natural bath salts with just 2 ingredients! Did you know dryer sheets are full of harmful toxins? Ditch the dryer sheets and opt for natural wool dryer balls, then add a couple drops of lavender straight to the dryer balls to give your clothes a fresh lavender scent. When taking care of your little one, you want to be sure that they get the healthiest products possible, so what could be healthier than homemade? Make your own diaper balm with the most gentle essential oil…lavender! Make a soothing lip balm with a few natural ingredients and lavender! Add a little lavender to some coconut oil and use it as a super simple lip moisturizer. Make your own non-toxic facial toner and add lavender to it to support your skin! Make gentle baby wipes with lavender! Add lavender to your bubble bath for a relaxing bath. Make your own DIY bubble bath. Add a few drops of lavender to your massage oil. Make your own massage oil with almond oil and lavender. It will be the most relaxing massage you’ve ever had! Everyone loves the smell of lavender! Create your own air freshener by combining 10 drops lavender in a 2oz spray bottle and fill the rest with water. Shake before using. Diffuse lavender along with other favorite essential oils to freshen up any room. Ok maybe not anything, but Lavender is called the “swiss army knife” of essential oils because it is so versatile and has so many uses. I always say, “when in doubt, try lavender!”. So if you’re not sure which oil to use, try lavender! I get migraines and I am looking for non-pharmaceutical ways to get rid of them. I would love to win YL Lavender because I love EOs, but have never used Young Living and would like to experience their purity. I love lavender essential oil! I like to add it to my homemade laundry detergent. I love putting lavender in my bath! Lavender is my absolute favorite essential oil! I need it for my headaches and to sleep. It is great! I have some DoTerra lavender oil right now and ♥ it. After reading all the wonderful ways to use it (we use it as a calming scent on skin and also added to water in a spritzer bottle as a room freshener), I will certainly be using it up quicker and need more! Love essential oils. They are so worth learning about! I grind my teeth and would love to try this oil!!! I have wanted to try oils for a long time, and can’t quite justify the expense. But I’m hearing more & more about the benefits and would love to try them. I’m new to the essential oils and holistic healing, and lavender has such a lovely smell. I’m more interested in it’s healing properties though. To use for eczema on a family member! I would love to win this because I make a skin cream with Lavender, coconut oil and vitamin E.
I’d love to try lavender for relaxation! I am desperately trying to find help sleeping, I have four herniated disks in my cervical spine that are quite painful. Good luck to all and thank you for the opportunity! Love lavender EO because of it’s lovely scent, from a calming sleep aid to a massage oil. I would love lavender essential oil to help me relax and unwind! Lavender is my FAVOURITE oil to fall asleep to! I have tried other brands of lavendar oil and I must say they aren’t that great. I have heard Young Living is the best. I would love Young Living and compare it to the other brands I have. i love lavender essential oil. i’ld love to try the young living brand! Lavender EO seems to be one of the most used oils. Would love to try it! I would like to try the lavender for my headaches as I tend to get lots and even migraines. I would like to win lavender oil to use for home made lotion. I have used lavender oil for years for headaches. I would use the lavender oil in a shampoo recipe I have been wanting to try. I would love to try the Lavender because it seems to be the one that always comes up when people have questions about what to use for one thing or another. It seems to have many, many uses. I would like to try YL and compare to my current brand. Lavender oil is amazing for burns and sunburns. I want this essential oil because I’m out of mine. Lavender is so versatile. It would be helpful for me. Thank you for a really great giveaway!! I just started making our own laundry detergent and other household cleaners, this would be awesome to add to the laundry detergent!! I am very interested in the benefits of EO’s. This would be a great start to trying them out! As soon as I am able to financially, I am going to invest in a Starter Kit!! Thank you again for the opportunity!! I would love to try EO, and learn exactly what they can do naturally for our well being. I would like to try it as an aid for falling asleep. I like to use aromatherapy for health and wellness, as well as a number of herbs. I first began using lavender when my kids were young. My son was about 3 or 4 and I remember when it was bedtime, he would say he forgot how to go to sleep, and asked me what to do. I began putting lavender drops around the room and he no longer stayed awake long enough to ask me how! Kids are so precious! I want to get a head start on spring allergies. Lavender is my favorite perfume. I just started using Lavender oil about 3 months ago. Would love to try this brand. I have problem skin and use lavender on my face for hyperpigmentation because it speeds up cell turnover! I also like it for some of the other things you mentioned, relaxation, calming, headaches, stomach, cleaning, the list goes on! I can always use more of it. 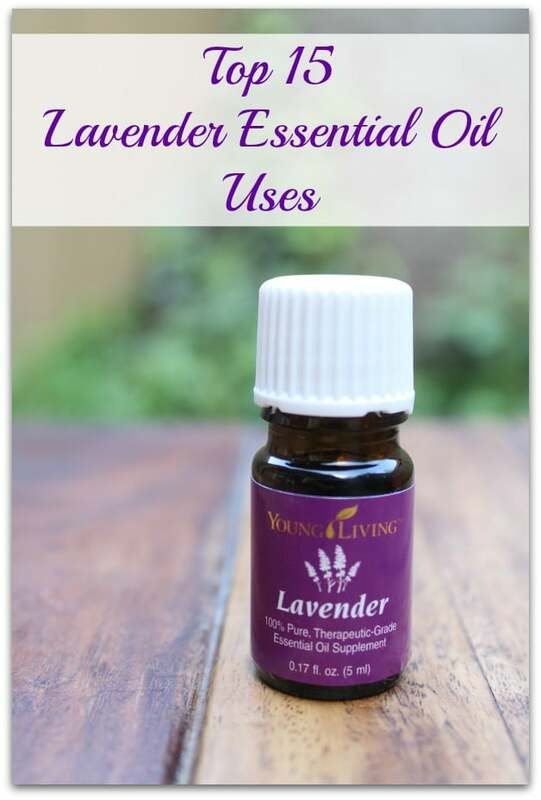 I’ve always loved lavender EO and I’d like to try Young Living! Lavender oil is already my favorite! I love the scent. I don’t sleep more than an hour a night and have headaches. I would love to try the Lavender oil to see if it can help me. I love using Lavendar oil at night to help sleep better…! I want to try Lavender, especially in my bath. this would be a nice gift for my sister. Nice scent! Lavender is my most used EO from bath time to bug spray and I’m almost out again. I am fairly new to EOs and have really grown to love lavender! I love lavender! Soooo calming and beautiful. I always have it in my flowerbeds! Love lavender oil. I use it almost daily. Lavender oil is my most treasured essential oil. So many uses! Thanks for offering the giveaway! I recently started learning about essential oils, and would love the chance to try new recipes for health & skin care. Thank you for the chance. Lavender is my favorite scent and it’s so useful! I get at least one migraine a month and I’d like to try lavender to help alleviate the pain of these. I would love to win this because it is the only essential only that helps relieve my anxiety and panic issues and I’ve been out for over a month! I want to win the lavender because I don’t have much money. My son has high anxiety disorder, conversion disorder, seizures and is in the autism spectrum. I would like to help him with his stress and anxiety, and get him off his anxiety medication. I am new to essential oils and am still trying to figure them out and everything they can do, lavender is one essential oil that there is so much information out about, that I’d love to try it! Thanks for the opportunity! I want to win it because I’m learning about how to use oils instead of OTC medications. I’d like to win because I want to get started with using essential oils and my research keeps bringing me back to Young Living. I’m hoping to further improve my health and well being by using the oil. I love lavender for so many things, and I could always use more! Lavender is one of my most used essential oils! Today I put a few drops so my rice heat pack to help relax. I love lavender and Epsom salt soaks or on my pillow. I haven’t tried this brand, so would love to win. Would love to win the Lavender! We are newly early retirement..not by choice. I am slowly going back to the “old” ways of natural cleaning, cooking, dehydrator, freezing and more to cut costs and live a healthier life. I am also slowly trying to purchase EO’s that are important to healthy life first, like Tea Tree Oil. Winning this scent would boost the home products I can make and be really useful. Thank you for the chance to enter for a chance to win this wonderful Lavender! I have bad insomnia and am hoping trying lavender can help! I have tried stuff I found in the store, but never therapeutic brands, so I’m thinking that’s why it hasn’t worked in the past. I just don’t want to spend a lot of money until I know it works and smells great. I also get headaches and have heard it works for that as well. I am new to essential oils and this would be a great way to get started. Lavender seems to be good for so many things and I am really interested in it for keeping bugs away, or treating a bug bite along with sun burn relief. I would love to win this lavender oil to use it in my homemade soap!! I’m starting to experiment with colors and fragrances and this is one of my favorite. I use it in my castile soap for shampoo; I want to use it in my soap! Thanks for this opportunity! I would use lavender EO to help both my husband and me to sleep. We both suffer from a variety of health problems and not getting enough sleep makes our symptoms worse. Thank you for this giveaway! We love lavender around here! We use it every night on our pillows to help with sleep, plus for relaxation. I’ve been thinking about trying to out to help me sleep at night. Thanks for the information on it! Have been dabbling in essential oils now for a couple years. I would like to win the Lavender oil because I had no idea there were so many uses for it and I’ve never tried Young Living OIls! I’m a major tooth grinder! I’d like to start diffusing lavender oil in my bedroom at night to see if it helps. I would use it for relaxation for my 5 kids… and me… 🙂 I also have used it successfully for burns. I’m brand new to Essential Oils. I first became interested because I dilute hand soap for a foaming dispenser (which also dilutes the lavender scent that I love) and was told that I could use essential oils to perk the scent back up to full force. After reading a little more, I found out that EOs have other beneficial properties, so here I am, ready to learn! I have never tried Lavender E.O. and really want to try it for calming and sleeping. A few drops in my bath makes me feel like I’m at the spa. lavender is my favorite of all the essential oils! I want to try YL, and see if it lives up to the hype. 🙂 I use lavender almost daily, and I’d love to see if this is really better. Lavender is my favorite EO, thanks! I would love to win this, because lavender is my FAVORITE essential oil! I love the scent and it’s so great for relaxation. I would never be without it!! I would love to win so I can try Lavender for my anxiety! Lavender is a wonderful calming agent – a little in my hair and it gets everyone as it goes by…would love to win some. Miss mine! I would love to use lavendar at night to help release stress/relax. I’ve heard many good things about Young Living and have not had the funds to try it out, so I’d really like to win so I can try it!! It is one of my favorite oils…I use it everyday! Because essential oils are AMAZING! I love lavender oil and would love to win some of this top quality oil! Lavender is one of my favorite, since it has so many uses. I can’t wait to try it. I sant to try them for the first time! Three children with eczema – ’nuff said! I haven’t tried Young Living’s lavendar, that would be great! A friend has been telling me about essential oils for a couple of years; it’s time to check them out. Lavender is one of my favorite essential oils and I’m fresh out of it. I have used lavender in the past and love it. I use it whenever I have a stress headache. There are so many uses and I can certainly use the help. Thanks! Please don’t keep me out of this chance to win because I don’t do Facebook. Thanks. I want to use lavender oil in homemade lotion bars! I am waiting for my first order of oils to arrive but have read a lot about the uses of Lavender and am looking forward to getting some to try. I love using lavender and coconut oil as my baby’s diaper cream! I need some to help me sleep! I use A LOT of lavender. I would love to try Lavender to help me relax and sleep.. I heard of a new use for lavender oil yesterday. Place 16-17 drops in a spray bottle of water and use on clothes to take out the wrinkles. Hang garments up on a coathanger first and place on a rack where possible. Spray with lavender water and leave to dry. Hope it works. Have a ton of ironing to do.